Can't see the line? 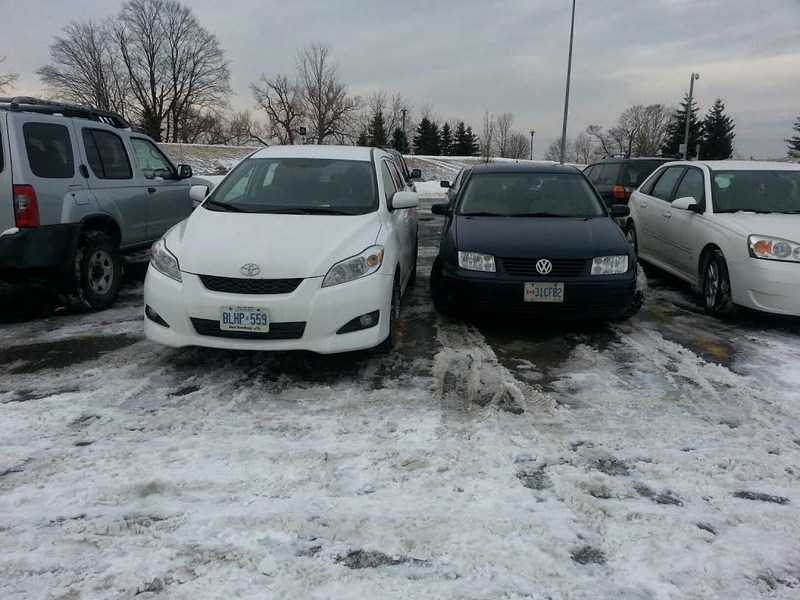 Cuz the white car in parked on it! I'm saddened by the fact that I have to catch an early train home today so he/she won't need to climb in through passenger door. Shame. I would have purposely stayed late at work and/or if it was warmer, hung out in my car reading until the gutless-wonder showed up. I hope it's not a Corolla!